One important way to build a strong building is to pay close attention to how the walls are attached to the foundation. 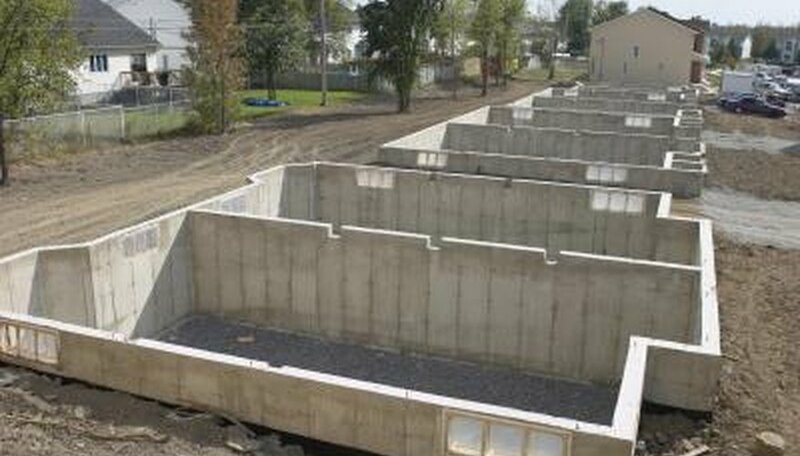 When the foundation is a concrete slab, the generally accepted practice is to install anchor bolts in the concrete when it is poured. Once holes are drilled in the bottom plate (the horizontal piece of lumber at the bottom of the wall), the anchor bolts go through the holes, and nuts are tightened down on the bolts to secure the wall to the slab. When putting up wood-frame walls on old slabs that don’t have anchor bolts, or on new ones where anchor bolts were not installed, it is still possible to fasten the wall to the slab. Drill 3/4-inch holes, 3 inches deep into the flat concrete slab at 6-foot intervals on center and following the perimeter of the slab. Measurements taken from the center of one item to the center of the next item are called “on center”. These holes should be inset from the edge of the slab, one-half the width of the bottom plate of the wall. If the bottom plate will be 5 1/2 inches wide, then the center of the holes should be 2 3/4 inches in from the slab edge. Drop the lag shield anchors into the holes, making sure their tops are not extending beyond the surface of the concrete. Drill ½-inch holes through the center of the bottom plate to correspond to the holes drilled in the concrete. One way to do that is to lay the bottom plate along the perimeter of the slab with its edge next to the inside edge of the holes in the concrete. Place a framing square on the bottom plate with the backside of its long leg edge in line with the center of the hole, and the inside of its short leg edge, square against the edge of the bottom plate. Measure in from the edge of the bottom plate one-half its width and place a mark next to the backside of the long leg of the framing square. Drill a hole at the mark. Tip the wall into position so the holes in the bottom plate line up with the holes in the concrete. Place a flat washer on each lag anchor bolt, push the bolts through the bottom plate, and screw them into the lag shield anchors until tight. For a tight seal with the concrete, consider using roll-out sill sealer, or silicone caulk on the underside of the bottom plate before fastening it in place. Wear safety glasses when doing this kind of work. When working outside, plug electrical tools into a ground fault protected circuit.